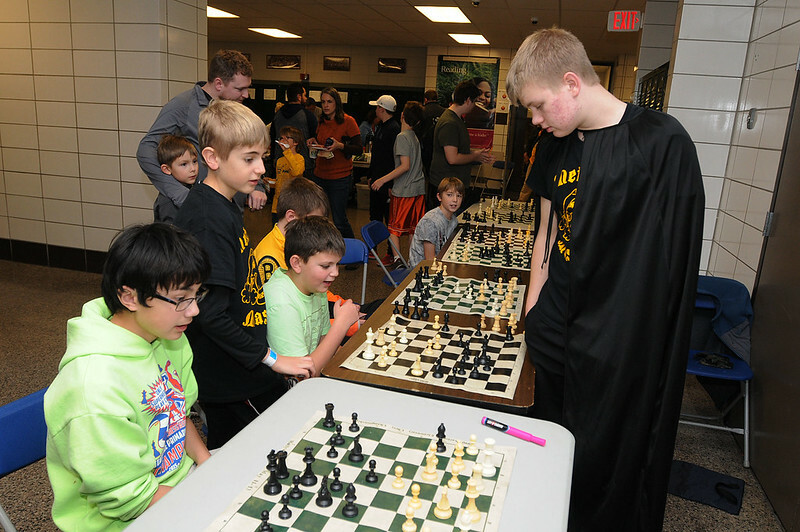 The team from Harriet Bishop Elementary again took the elementary championship title in the annual Burnsville-Eagan-Savage School District 191 chess tournament on Dec. 10 at Metcalf Middle School. Jessica Perry and Don Picard coach the team. The William Byrne Elementary chess team, coached by Stan Kegel and Jason Kellen, placed second while Sioux Trail Elementary, coached by Kiya Presswood, placed third. The Metcalf Middle School team, coached by Brian Ribnick, won the secondary championship title. The district elementary chess champion for 2016 is Mitchell Kellen, a 4th grader from William Byrne Elementary, and the secondary champion is Calvin York of Metcalf Middle School.